The brand new Bliss edition is available now for pre-order and is due to arrive here from the printers early next week. Here’s a little taste of what’s inside this gorgeous new Spring issue. I tell you what, this issue really is pure bliss – we’ve got four gorgeous homes in this issue, with styles ranging from soothing simplicity and minimalist chic, to comfy coastal and Parisian flair. Our front cover home belonging to newly weds Catherine and Lachlan Ryan is a lesson in savvy transformations on a budget. Their master bedroom (pictured above) is so dreamy – loving that IKEA pendant light that looks almost like a fluffy cloud, and the grey easycraft panels create a cosy touch. Fans of Matt and Kim (former contestants on TV show The Block and regular personalities for Perth-based show Matt and Kim To The Rescue), will adore their luxurious home with a distinct Parisian flavour (pictured above). Paola Gredler’s minimalist Melbourne home is also a firm favourite of mine in this issue (pictured above). It might be clean and simple in style, but it also has a beautiful warmth to it – I can see all of our followers on Instagram loving this one! Looking for bathroom inspiration? 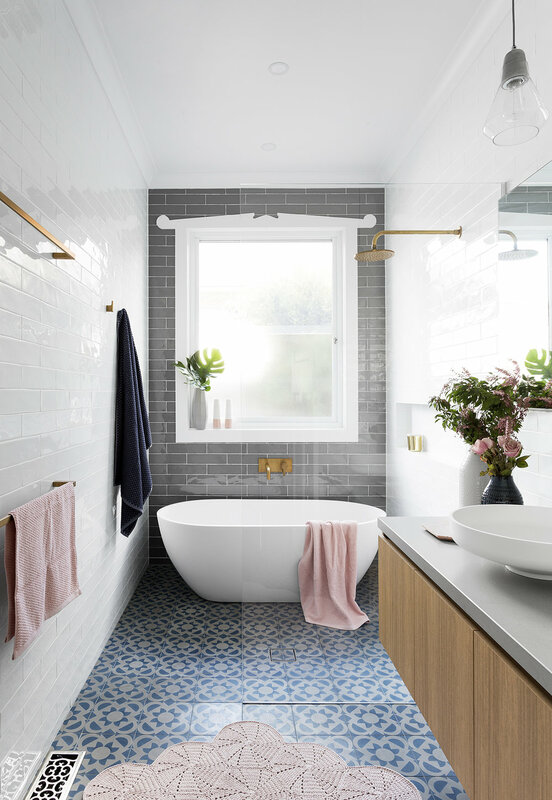 We’ve rounded up the 10 most blissful bathroom trends of 2017 – one of which is unique tiles (as exemplified in this beautiful bathroom above designed by GIA Bathrooms and Kitchens). If it’s a Europe or UK adventure you’re planning - you’ll need to check out our hotel style feature. Featuring four extraordinary hotels with interiors so lust-worthy, you won’t want to leave. 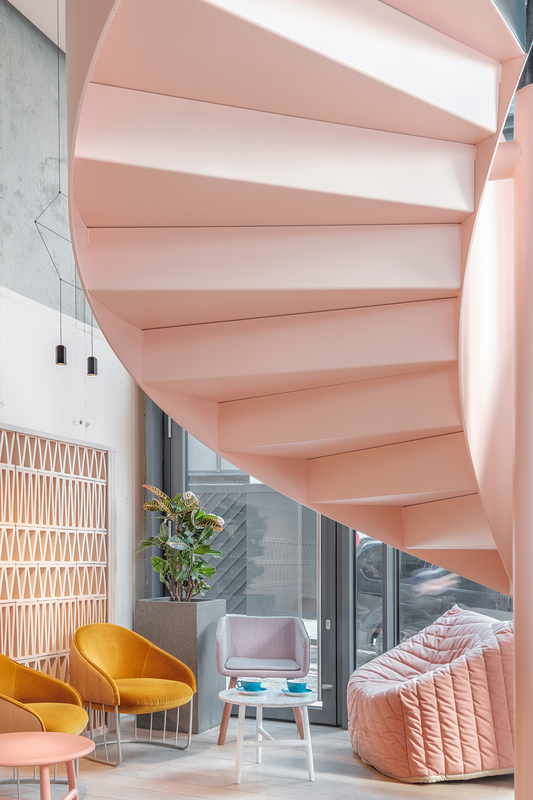 Case in point: London’s dreamy Scandinavian-meets-contemporary Leman Locke Hotel (pictured above). That pink staircase is heavenly. Pre-order your copy of our Bliss edition through our online shop (for an early September delivery) by clicking here. Or simply purchase in newsagents from September 7.